I mentioned to Mr. Ink early on that I intended for Tuesday evening to be a relaxing evening full of tidying the house (Yes, that’s relaxing) and crafting for me. He decided that he would like to make a nice dinner and kill weeds in the yard. So, after quite a bit of tidying, most of it happening before Mr. Ink even came home, I got to work on a warp I am trying for my next weaving project. The warp is handspun from Miss Marja, and it’s quite lovely. Then I pulled out some of my own handspun 2 ply from a fleece I processed to use as a weft. Well, the warping didn’t go so well. I need to remember to check before I start winding everything on to make sure I’ve got my warp correct. It wasn’t. It wasn’t correct repeatedly. I thought I’d gotten it, but I hadn’t. Then, I got the thing wound on, only to realize I’d lost a warp thread (it decided it wasn’t strong enough for the weaving journey) and so I had to untie and move everything over yet again. I think at that point I wanted to give up. But, I also wanted to weave. So I took a break for Mr. Ink’s dinner. One way I know the season is changing is that Mr. Ink starts making my favorite food. 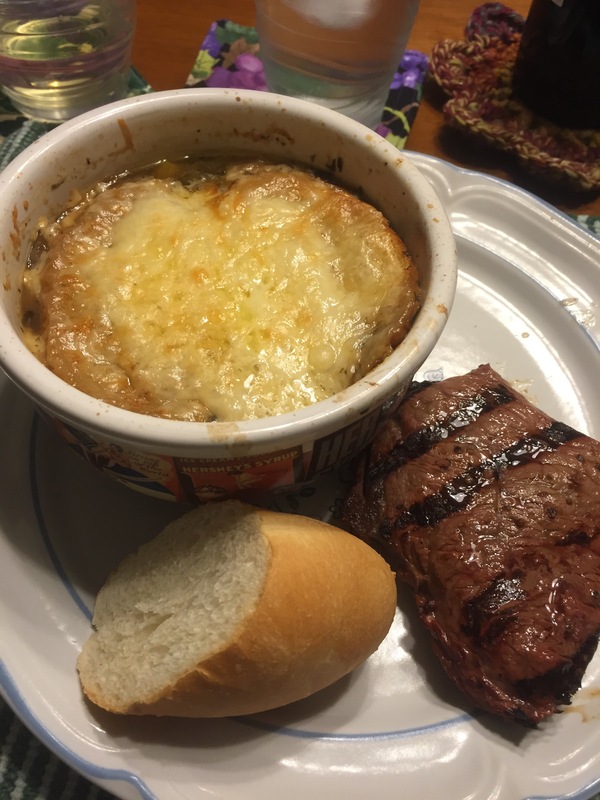 Homemade French Onion Soup. It’s really truly wonderful and if we could make it once a week, we probably would. Thus fortified, I was able to finish warping the loom, and even got a tiny bit of weaving done. Here’s a preview of what this project will look like. 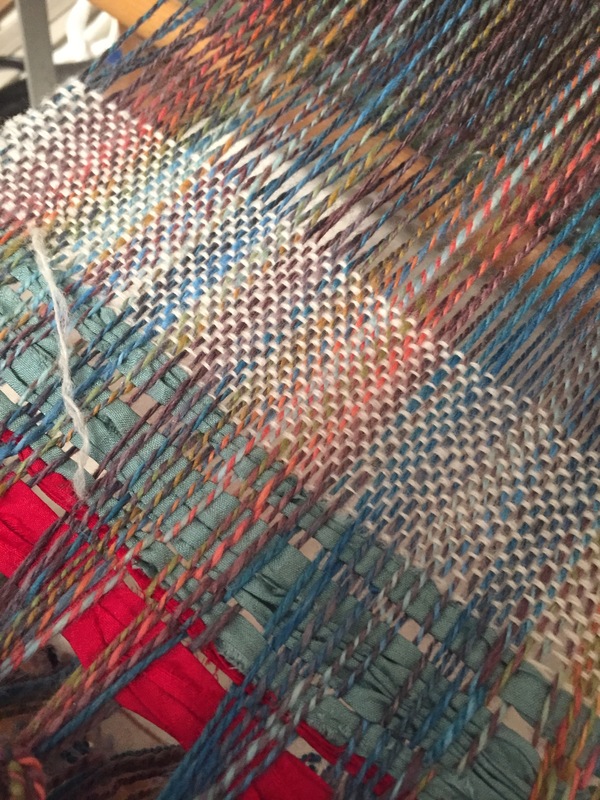 It’s so pretty, and I love the warm and cool colors playing together in the warp. So nice!